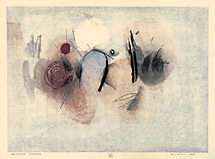 Between Silences - -1967, Color Woodcut. Edition 200. Signed, dated, titled and numbered 111/200 in pencil. 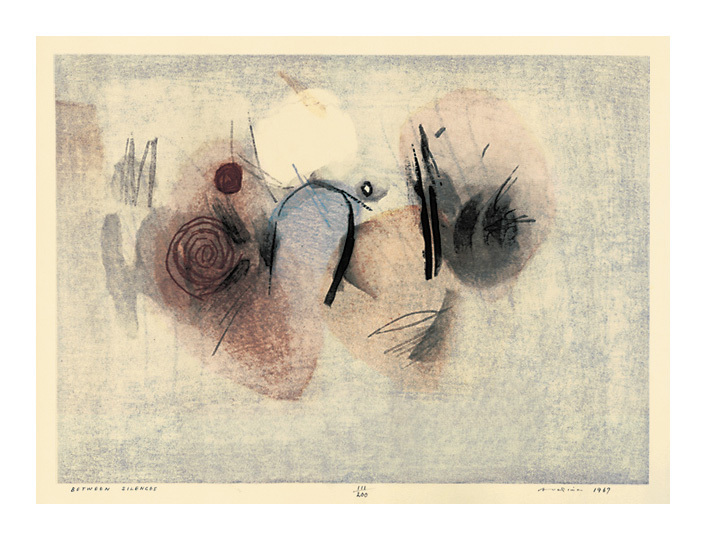 Image size 10 1/2 x 14 3/8 inches (267 x 365 mm); 17 3/4 x 23 1/2 inches (451 x 597 mm). A fine impression, with fresh colors, on buff fibrous wove Japan paper; full margins (3 1/2 to 4 5/8 inches), in excellent condition.